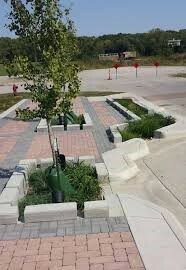 Tree boxes are containment systems like small bioretention cells that include trees as vegetation. 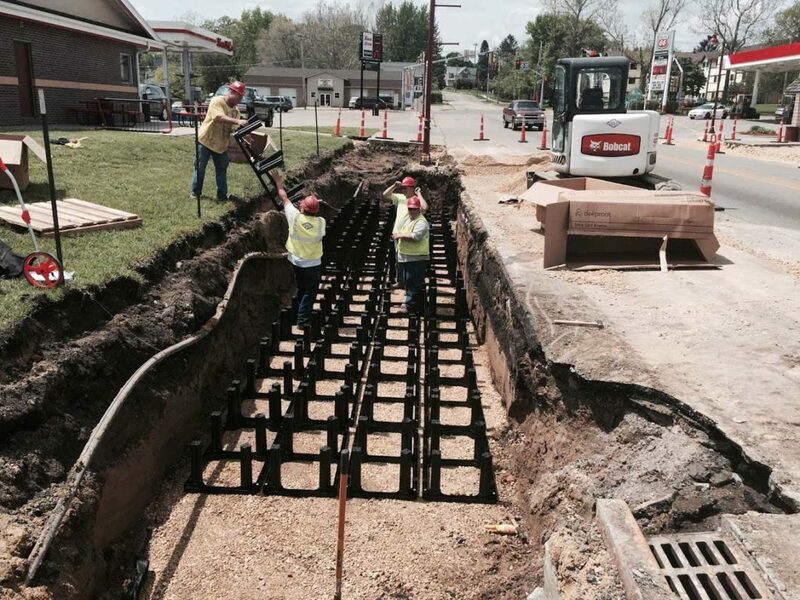 They include an engineered soil mix, underdrain, over flow and are usually tied to the storm sewer system or connected in a stormwater treatment to other stormwater BMPs. There are specific tree species that thrive in these systems. 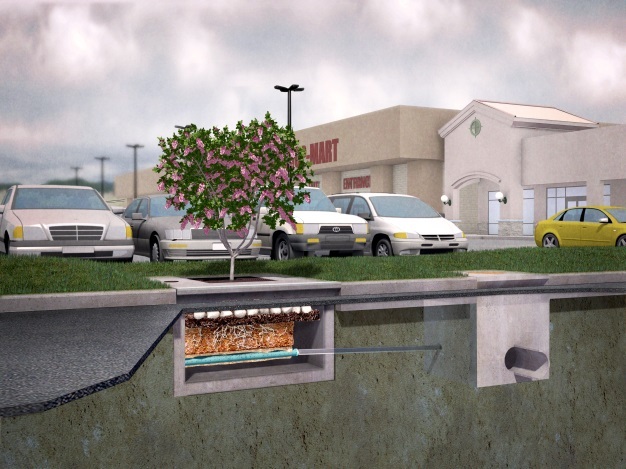 Tree Trenches are typically elongated surface systems in sidewalk areas that consist of engineered soils placed within a plastic network of support that can be placed beneath permeable pavers. The tree roots have a large subsurface area to expand rather than be confined in a very small containment system. Tree filter boxes can be either designed by licensed engineers and constructed by contractors or proprietary designs and products can be used. Tree trench information can be found at the following links.